Roses produce their first spring flush in October. If you plant them now, they’ll have plenty of time (and rain) to settle into your garden nicely before their October bloom. Grow roses in an open, sunny position and space them far enough apart to ensure good airflow. This will help to guard against fungal diseases like black spot, mildew and rust. 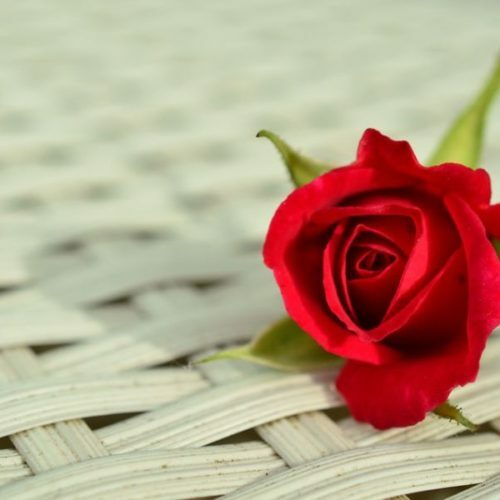 Choose disease-resistant rose varieties like ‘South Africa’, “Esther Geldenhuys’, ‘Clocolan’, ‘Walter Sisulu’, ‘Perfume Passion’, as well as the Sunsation and Profusion ranges. Interplant roses with strong smelling herbs to help deter insect pests. Try mint, basil, buchu, lavender, lemongrass, chives and garlic. Feed your roses correctly: alternate between feeds high in nitrogen and feeds high in potassium. Water roses deeply twice a week (in summer) to avoid causing stress to the plant. The average rose bush needs about 30 litres of water a week. Build a ‘dam’ around the base of the plant to prevent water from running away. Water early in the morning so that the foliage can dry out completely before nightfall. Regularly check under the leaves for sights of pests and diseases. Roses need lots of healthy leaves to produce sufficient food for the plant. Apply pesticide sparingly to affected areas. Don’t do this in the middle of the day as the combination of pesticide and direct sunlight can cause the leaves to burn.